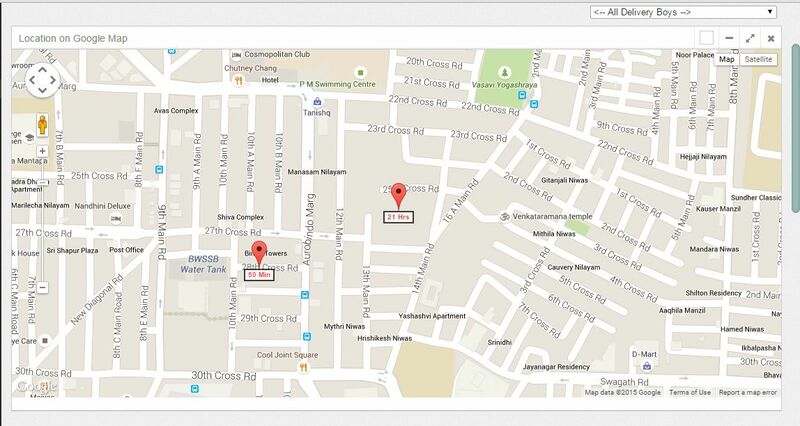 Track your fleet or delivery boys real time for Free. This android app needs to be installed on all fleet members. Once installed and activated it can be tracked by online from your login dashboard. 1. If you are a fleet owner, first register using the register link above. 3. Under ‘Settings’add your Fleets by specifying their Email Ids. A notification mail will be sent to each of them with link to download Fleet-Tracker Android app and to confirm their tracking by the owner. 4. Each user (Fleet) has to download and register the app and confirm by clicking on the link sent on the mail. 5. Once confirmed, you are all set to track them from our dashboard. 6. Tracking has to be initiated from your login itself. Click on the duration you want to track and the frequency and click on ‘Start Tracking Button’. All users will be notified of the tracking status. 7. You can check the location of all your fleet on Google Map and even as a list. You can even export the content of list as excel/CSV for your offline reference. 8. You can check the history of a particular fleet and the routes he has traveled for last few days. I want to tracking mobile phone & unknown mobile number. Did you find something like that, that can yrack an individual phone by number? Yes. Kindly follow the procedure as in the mail. We will be enhancing the app for more commercial use, so your feedback would be more valuable. How do I track someone else phone? To track someone elses phone you need to have a tracker app installed on their phone and view it online from our website. Fleet Tracker is not an app for that. You can try http://TrackingSmartphone.com for that. My Mobile is someone stolen…. How can I track my mobile…? You cant use these apps to track already lost mobile. You need to have ‘Track My Phone’ app installed on the device for you to track it when lost. It’s my first time to use this application and I believe it will be of a great help. its a extra ordinery apps,so its help me regularly in future. Can i know what problem you are facing? What is your phone number I dont think it works? Hi Lara, Sorry, we dont have phone support. Kindly mail your queries to srihari@TrackMyPhones.com.